A disgusting problem like a backed-up sewer line is a plumbing problem that no homeowner wants to deal with, but unfortunately, these issues are quite common. Clogged sewer lines can cost thousands of dollars to repair and cause irreparable damage to your home and belongings. Because your sewer line safely transports hazardous waste away from your home, all problems need to be addressed immediately. At G.T. Campbell, we’re here when you need sewer cleaning in Victor NY. When you call us, we’ll get everything flowing smoothly again in no time! Grease, foreign objects and even tree roots can also lead to nasty clogs that keep sewage from flowing freely away from your home. When the blockage is severe, it can cause raw sewage to back up into your home’s basement or crawl space, resulting in an emergency situation that must be addressed immediately. Sewage backups are serious health hazards, and you should never come in contact with the mess. When you trust G.T. Campbell Plumbing for your Victor sewer cleaning needs, we’ll send a certified plumber to your address as quickly as possible. Upon arrival, your plumber will assess the situation and get to work solving your problem. Our safe, effective sewer cleaning technique will take care of even the most stubborn blockage in a matter of minutes without damaging your sewer line. We all hope that we’ll never need sewer cleaning service, but when you do need sewer cleaning in Victor NY, you can depend on the experts right here are G.T. Campbell Plumbing. Whether your drains are running slower than usual or you’re dealing with a complete blockage and nasty sewage backing up into your home, we’ll take care of your clog and get your sewer flowing freely again as quickly as possible. 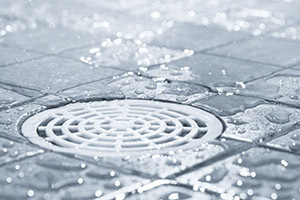 For expert sewer cleaning in Victor, please call us now.